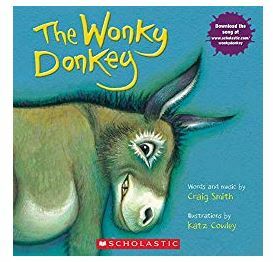 First off, if you haven’t seen the video of the grandma trying to read The Wonky Donkey to her grandson, you need to see it! The book has been out of print but because of this hilarious, viral video, the publishers have listened to the masses and are putting the book back in print! It’s now BACK in stock and DISCOUNTED to just $5.20! Get it now!